This week I got a brief and exhilarating taste of the legitimacy with which people can treat you with if you’re white. 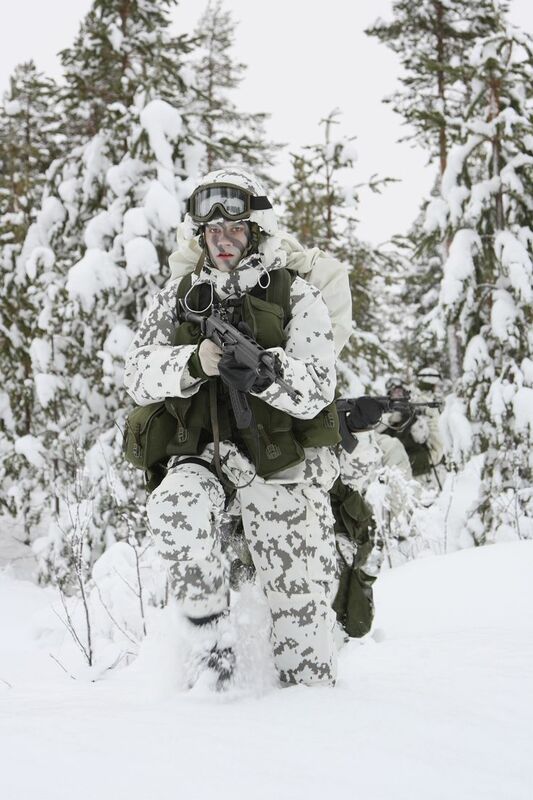 Camouflaged in white, this was me that day. I was ringing around archives to find out about dissertation research and at one point I realised, everyone was treating me with a bizarre level of legitimacy that I had not before experienced in doing my research. In that moment, it hit me. They didn’t realise I wasn’t white. Simultaneously hilarious, liberating and devastatingly crushing I basked in this bizarre power. I realised that without my name or face, based on my voice alone these people thought they were talking to a white woman. Not just any white woman but an educated and researching white woman. It was exhilirating. My disseration on the experience of brown women was no longer an emotive but marginal and personal topic of study, but a valid subject of study and a “fascinating” and “interesting” one. Now, I’m not saying for a fact that the people I was talking to would necessarily have treated me differently had they been face to face with me, but I am saying it from experience. From the experience of being a brown and hijab-wearing woman in academic spaces I can promise you that I have never felt as much legitimacy as I did on these phonecalls where people thought I was white. And how do I know they thought I was white? Well, everyone and everything is white unless stated otherwise. That’s the world we live in. White is the norm – unless something proves it otherwise. White is everything you don’t notice, otherness is what you do. In this case, whether or not they were white, I was. I was camouflaged, undetected, completely legitimate. It was a feeling hard to describe as someone who isn’t used to being white. But that day I passed as white. I sounded white. Obviously “sounding white” is in of itself, not a thing. There is no universal voice of whiteness – yet, you know exactly what I mean. What I mean is not sounding how you expect non-white people to sound. I know you know what I mean because I, along with thousands upon thousands of other brown and black people who speak English in a way that doesn’t fufill white expectations of what brown and black people sound like are told this all the time: “you sound white” or “you don’t sound asian/black/brown/whatever”, or “you speak good English”. This phenomena has been well accounted for by others, and especially the double-edged problem wherein those of us told we “sound white” are simultaneously “not brown enough” or “not black enough” etc. The whole concept is based on the basic lie that there is a certain way to be white and a certain way to be not-white. To be white is to use good vocabulary, to speak grammatically, to speak intelligently. Ergo, bad vocabulary, incorrect grammar and incoherency are not white traits. Imagine then, the predicament of being brown or black and speaking grammatically, intelligently and articulately. You mess up people’s boxes. You’re brown but you speak white is the conclusion they come to. In reality, you’re brown and you speak. You are speaking and you are brown therefore the way you speak is the way brown people can speak. I don’t sound white, I sound like me. Not an exceptional black woman, just “a black woman”. Graduating isn’t a white thing. Many people told they “don’t seem brown”, “don’t sound brown”, “don’t act brown” etc experience a feeling of “inauthenticity”. For much of my life I have been haunted by the feeling that I am not “brown” enough. In reality, I am just not brown in the ways white expectations desire of me. The sad irony is that no matter how much you “sound” or “seem” or “act” not-brown, you never will be white and you never will therefore experience the privileges of whiteness. I remember a story my grandmother told me about when she had been in England for maybe fifteen or twenty years and was looking for a job. Under-confident about her spoken English she got my mother (educated in England) to ring the employees and they told my mum to send her mum in for an interview the following day, assuring her that the vacancy remained. The next day when my grandmother turned up they didn’t even interview her but told her immediately that the job was filled. Of course, it wasn’t, as my mum had found out only the day before, but how were they to know that her mother would be a brown-bodied migrant woman? Poor souls. That story proved to me that no matter how much we break the mould that whiteness expects of brown and blackness, no matter how much we prove that the traits coded white aren’t unique to white people; at the end of the day, we will never experience the privileges that come with having white skin and coded-white traits. I can’t help but feel there is also an element of imperialism to this phenomena too though. When people tell you you sound/seem/act white they say it in a congratulatory tone. They say it in amazement, they say it impressed. “Well done, despite yourself you have managed to somehow sound intelligent or articulate, wow!” But sometimes, they say it more subtly than this. I am lazy in my speech with people that I become familiar with. I often phrase things clumsily in speech or trail off mid-sentence. Amongst my friends and family this has become a little joke, a quirk of mine. But I do sometimes wonder if there’s not more to this, if this is maybe more sinister than a joke. Work on gendered linguistics suggests that speech categories fail to cater for women’s experiences of life in many varied ways and probably explain a bit of why words do so often fail me; but I wonder if words failing me also has something to do with the imperialist nature of the English language? The fact that it imposes itself, that I learnt it to be accepted and speak it well so as not to be marginalised. Surely there are ways that it also fails to cater for brown and black people’s experiences of imperialism and colonialism too? Ways it fails to account for the pain that comes with being English but not *being* English… Why shouldn’t I speak it clumsily? Why shouldn’t I rephrase sentences in the ways I see fit? Especially when, at the end of the day, no matter how well I speak English no one is going to change their boxes, they’ll just make me the exception. Don’t let the brown and black people you know become the exceptional brown and black people you know. They are brown and black. No matter what they do, and in fact IN ALL THAT THEY DO they are brown and black. I don’t sound white, I sound me. I deserve the same amount of respect and validation whether you can see me or you can’t. Consider your internal prejudices. Change them. A relentless indignation! Shameless realisation is guaranteed as soon as I give my name. Next Next post: Why are we calling it a “Migrant Crisis”?